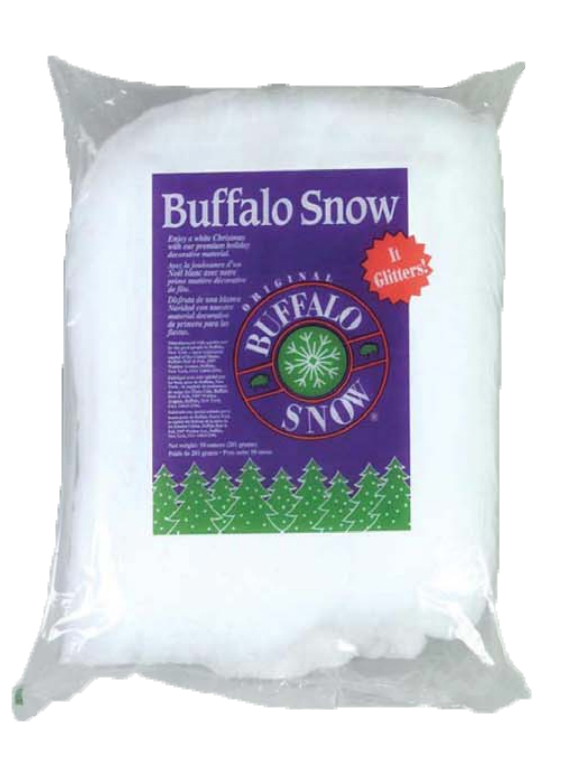 Original Buffalo Snow is carefully crafted of 100% pure virgin polyester. Flame retardant and non-allergenic. Perfect for all kinds of holiday decorations, such as tabletops, centerpieces, mantle displays, scenes, door and window decoration and tree trimming. 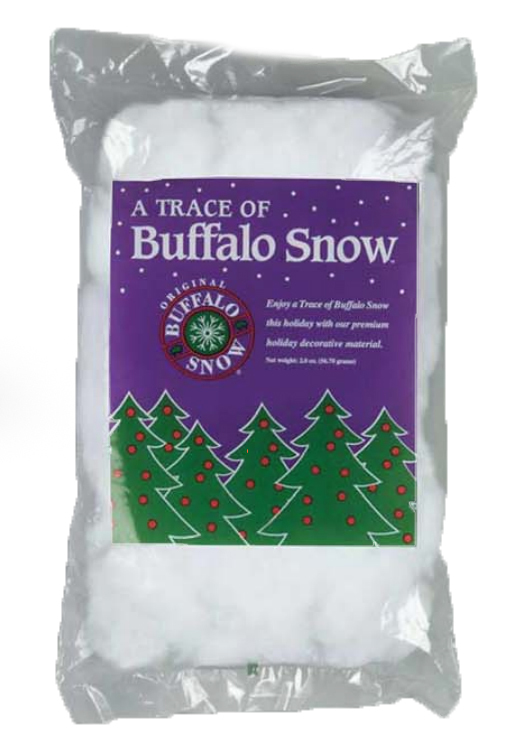 Have a sparkling white holiday with Original Buffalo Snow-· carefully crafted of I 00% pure virgin polyester. Flame retardant and non-allergenic and perfect for all kinds of holiday decorations, such as tabletops, centerpieces, mantle displays, scenes, door and window decoration and tree trimming. 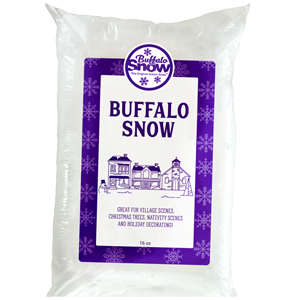 When just a little snow is wanted or space is limited, enjoy this Trace of Buffalo Snow for your holiday decorations: 100% pure white virgin polyester. Flame retardant and non-allergenic. © Copyright 2017 Fibrix, Inc.